All transfer & sightseeing by Ac Car. Arrive Delhi. Meeting and assistance on arrival. Transfer to hotel. Over Night stay at hotel. After Breakfast Drive to Agra. 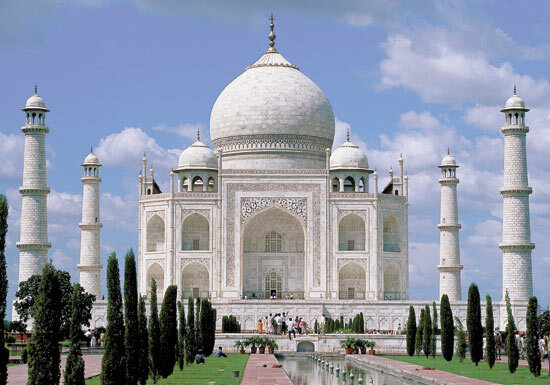 Afternoon tour to visit the world famous Taj Mahal built by the Mughal Emperor Shah Jahan in 1630 to enshrine the mortal remains of his Queen Mumtz Mahal. Included will be visits to Emperor Akbar's Fort. Within the fort are palaces, the Pearl Mosque and the Halls of Public and Private Audiences. Overnight Hotel. Morning visit Amber Fort. Amber Fort was the ancient capital of the State. Visit the Sheesh Mahal or the Hall of Victory glittering with mirrors. Afternoon tour of Jaipur. Jaipur - the capital of Rajasthan was given a colour coat of pink a century ago in honour of a visiting Prince and ever since, it has retained this colour. 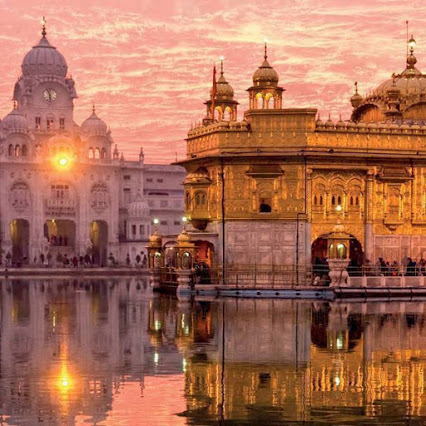 Built by Maharaja Jai Singh, the notable astronomer, this city is 260 years old. Visit Maharaja's City Palace, the Observatory & Ram Niwas Gardens. Drive past Hawa Mahal & through the pink rose residential & business areas. Overnight Jaipur. After an early breakfast we drive to Haridwar & transfer to hotel. Later visit the Pareshwar Mahadev Temple, Daksha Mahadev Temple and Mansa Devi Temple. 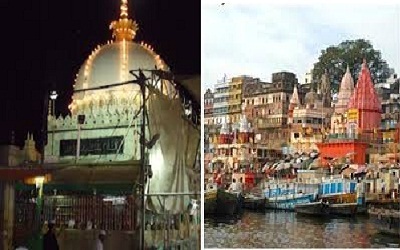 In the evening visit Har ki Pauri (the footstep of God)- for aarti .Har ki Pauri is one of the most sacred ghats in India. Overnight in Haridwar. Take an early morning stroll along the shores of the most sacred river in India -the mighty Ganges before we drive to Rishikesh. Also known as the 'place of sages', Rishikesh is situated at the confluence of the Chandrabhaga and Ganga. Here we visit the Ram Jhula,Laxman Jhula and Bharat Mandir - the oldest temple in Rishikesh, near the Triveni Ghat before embarking on a rafitng trip. Evening Return back to Haridwar . Overnight saty at hotel. After breakfast drive back to Delhi & transfer to airport to board the onward flight.